Hello and welcome! I’m so glad you could join me on my stop of the Curiosities blog tour by the talented Amanda Herring for Riley Blake Designs. I’m such a fan of Amanda and her beautiful work. It’s been a delight to play with this beautiful collection of fabric. Gorgeous florals, modern leaves and lots of charming curiosities mixed in like little surprises (including s-w-e-e-t ostrich!). And, I’m in love with the color palette in this collection, too. One of the many things I adore about this line is its versatility. I first had my heart set on new pillows for my home. The beautiful hues of grays and pops of color are so pretty together. Then my eyes fell upon those gorgeous roses and florals, and modern leafs, and I decided to start with something for my kitchen. Early this spring, I started creating a new quilt from the lovely pattern, Fancy Dance, by the talented, Stacy Olson. I love how the pattern brings pops of colors with neutrals together so beautifully. Blocks from this pattern inspired new placemats in Curiosities for my kitchen. I added a splash of Riley Blake’s white dots on red to “dance” around the lovely Curiosities prints. 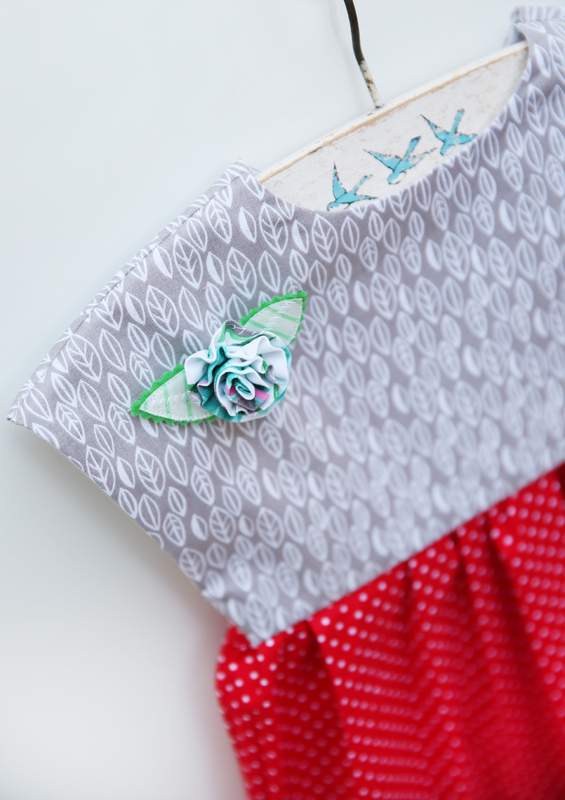 With the fabric remnants from the placemats, I was inspired to create a sweet little dress featuring that beautiful modern, gray leaf in this collection. That leaf print is perfection, right?! 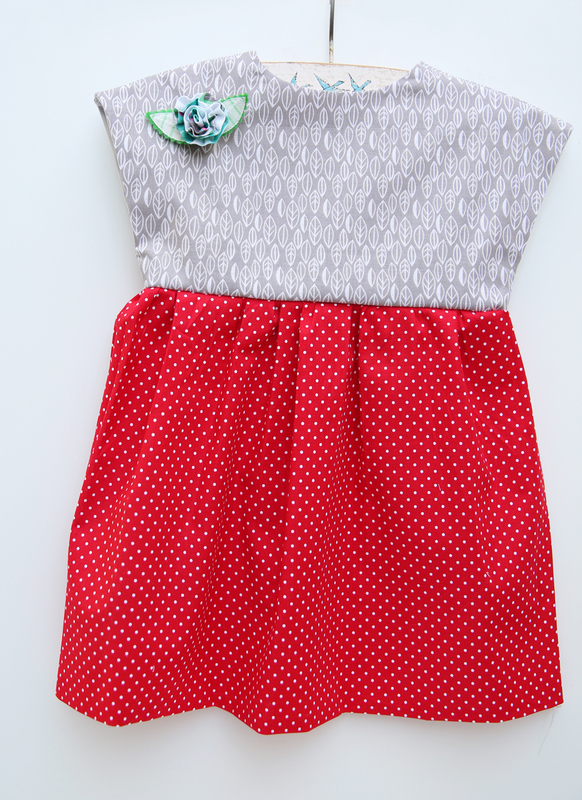 I paired the gray leaf with the vibrant red dots using a lovely and simple tunic dress pattern that’s been on my must make list for a while now (available as a free download) by the creative, Made by Toya. Inspired by the painterly florals in this collection, I added a handmade rose brooch to the dress in the teal brushed roses print. 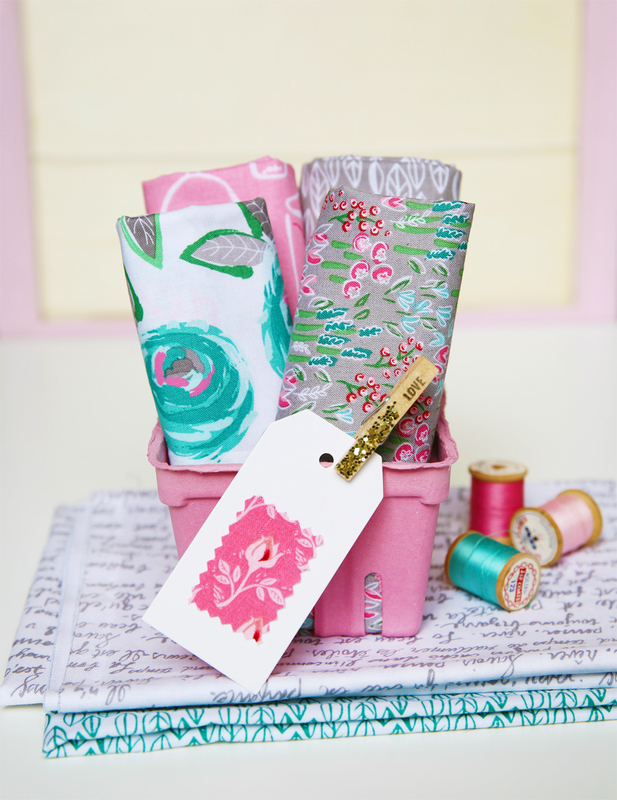 And I didn’t want to waste a single scrap of these pretty fabrics so I made a few girlie party picks just for fun. We recently celebrated the end of our school year and a kindergarten graduation (and yay for more reasons for cupcakes)! 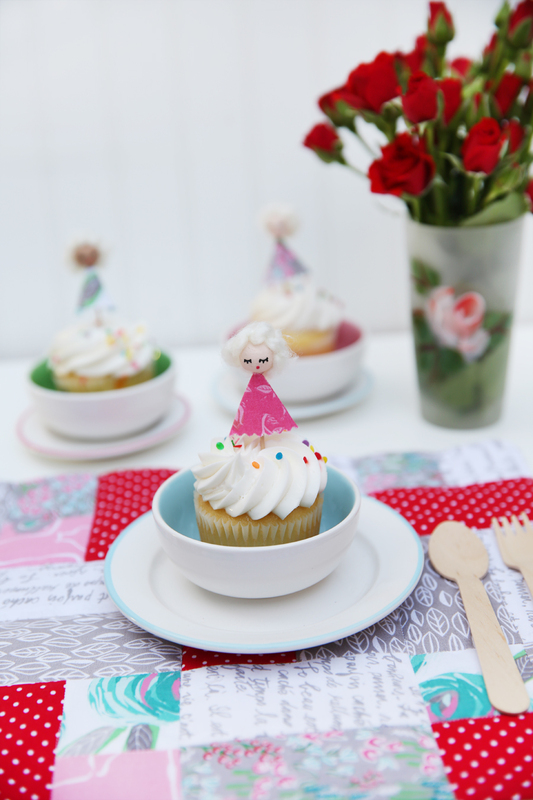 And you may know by now that I’m head over heals for dolls. 🙂 So these girls were extra fun to make, inspired by my spoon dolls and upcoming falsies. I hope you’ve enjoyed my creations with this beautiful fabric collection. Thank you for stopping by! Be sure to follow the lovely @amandaherringdesigns on Instagram for all the tour highlights. The next stop on the tour is Nadra Ridgeway. You won’t want to miss her inspiration @nadraridgeway on Instagram or her blog, Ellis & Higgs. 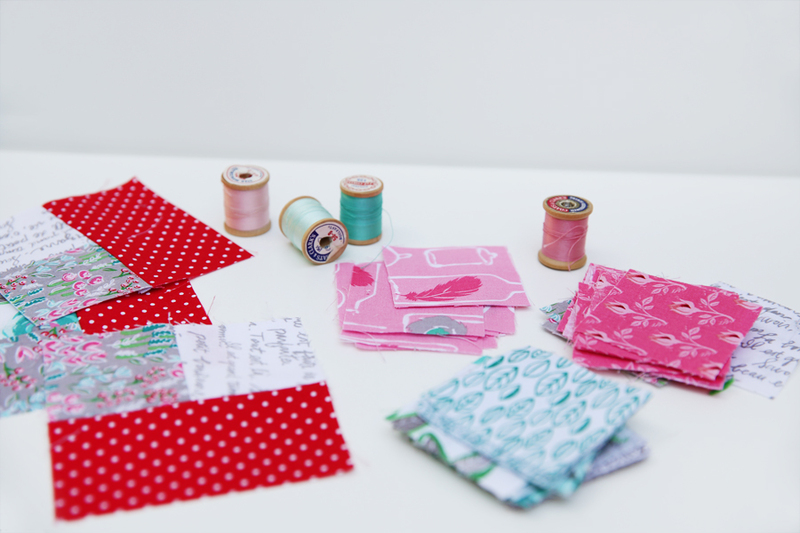 And a huge thank you to Amanda and Riley Blake for creating these beautiful fabrics for us all to enjoy! « My new book – DOLLY! Coming this July & a first-book Giveaway! 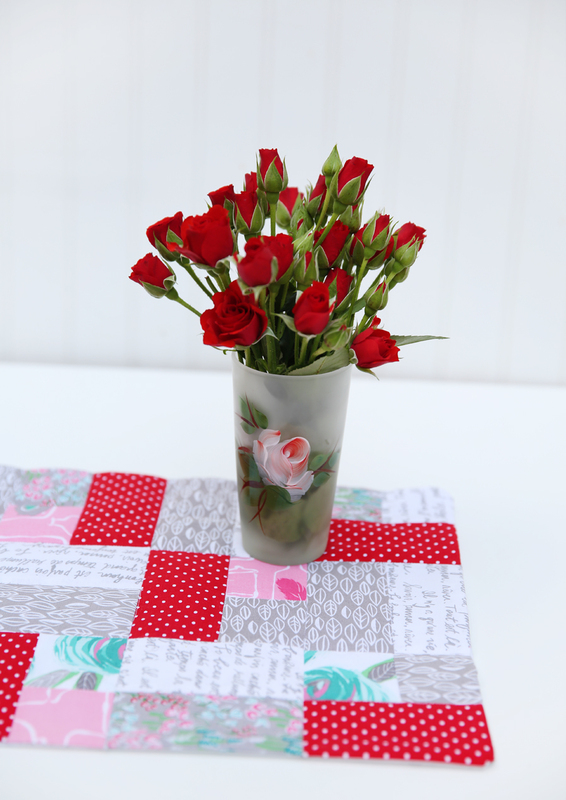 I love how you added the red polka dots to your quilt. It really pops! I also love your pictures. You are a very talented scrafter! Thank you so much for the sweet message, Darlene. Brightened my day. Glad you could stop by! Nice to meet you.